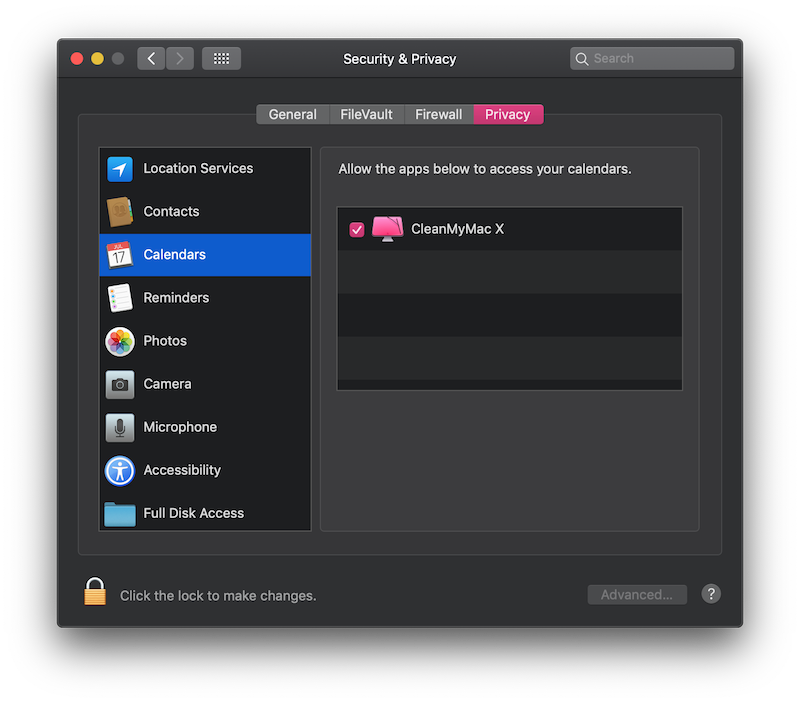 The up-to-date version of CleanMyMac X fully supports macOS Mojave 10.14 but requires a bit of your attention. 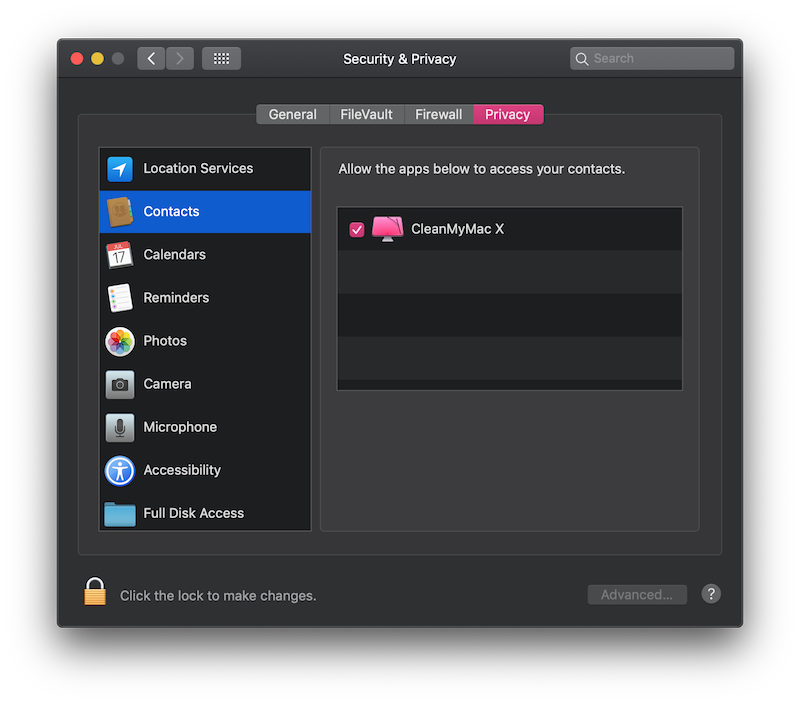 The new macOS includes critical changes in the privacy control, that’s why now apps like CleanMyMac ask for some special permissions to run smoothly. For example, permissions are needed to uninstall apps correctly or find more junk across the system. According to Apple’s new rules, you need to provide these permissions manually in macOS System Preferences. The configuration takes less than a few minutes, so please follow the instructions below to allow CleanMyMac operate at full capacity. Open CleanMyMac and click the CleanMyMac X in the upper left corner of the screen. Click About CleanMyMac and look at the version below the CleanMyMac icon. If your version of CleanMyMac X is lower than 4.0.3, go to CleanMyMac X → Check for Updates and install the latest available version. Go to Applications → System Preferences. Open Security & Privacy and switch to the Privacy tab. Click on the lock in the lower left corner and enter your password. 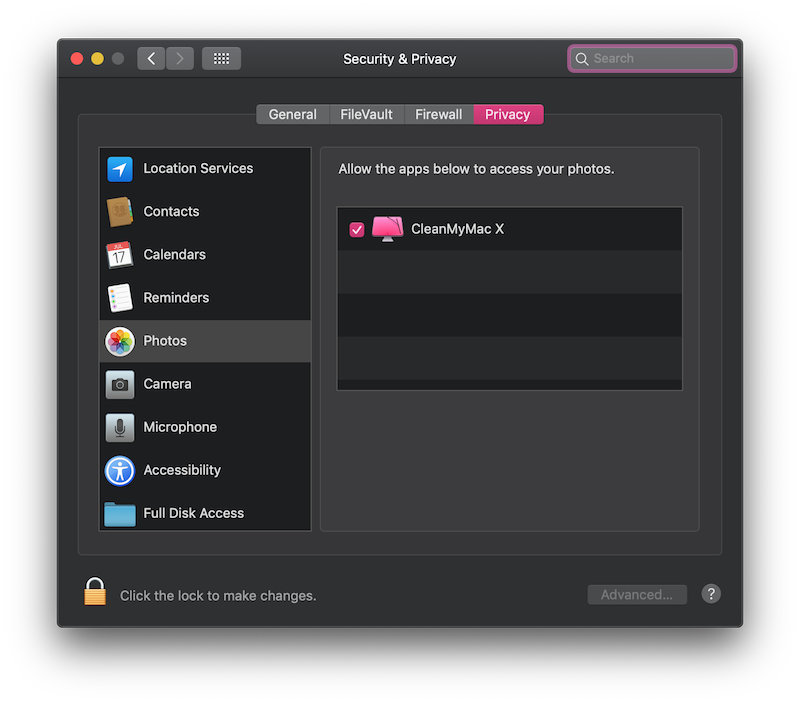 Now, give CleanMyMac access to the permissions listed below. Giving the Full Disk Access permission is enough to let CleanMyMac function properly. So if you did, you can skip adding it Photos, Calendar, and Contacts permission lists. 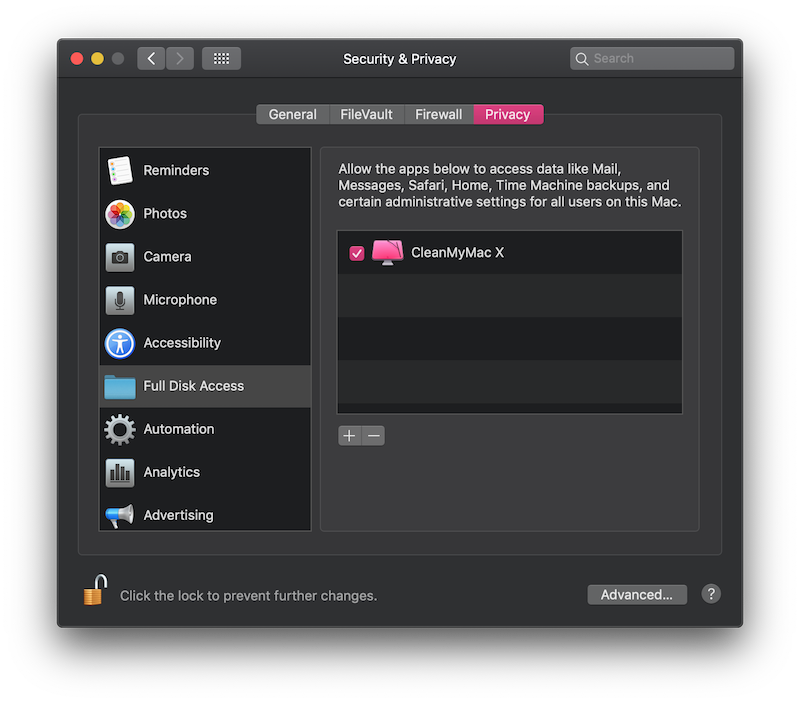 CleanMyMac X needs the Full Disk Access privacy control to enable thorough scanning in its System Junk, Mail Attachments, iTunes Junk, Privacy, and Uninstaller modules. Switch to Full Disk Access and click (+). Open the Applications folder and select CleanMyMac X. If you're a Setapp user, go to Applications → Setapp → CleanMyMac X. Done! Now CleanMyMac can easily find all unneeded files on your Mac. This permission lets CleanMyMac X scan your Photos library and find various useless items in the Photo Junk module. Accessing the Calendars permission ensures normal operability of the Uninstaller module. If you’ve already allowed CleanMyMac X to get Full Disk Access, skip this step. Accessing the Contacts privacy control is also required by the Uninstaller module. Thanks for taking your time and configuring CleanMyMac X on macOS Mojave. Now, you can start your Smart Scan and do some cleanup. If you have any questions or need any assistance, please contact our Customer Support.